The Bolingbrook Babbler: Lisle trees banish The Babbler! Following a six day siege in Lisle and Bolingbrook by Lisle’s human-tree hybrids, The Babbler has agreed to close its Lisle bureau. The siege started on March 18 when The Village of Lisle took over The Babbler’s web domain. Sources at the village’s Office of Village Security say the order came from Lisle’s ruling tree council. The next day, armies of human-tree hybrids descended upon both the Lisle bureau and the Bolingbrook office. John Buck, head of the Lisle bureau, described the initial advance. The Bolingbrook office also locked down as the hybrids approached. Olson and editor Sara Langston made the choice because of the hybrids’ long history of violence. For three days, many staff members were trapped as the hybrids blocked the exits of both offices. Calls for help to Mayor Roger Claar and Lisle Mayor Joe Broda were unanswered. While both locations had emergency stores of food and water, staff members were unsure how long they could hold out. “I now really hate MREs.” Said Babbler columnist Ticked-off Ted. On March 22, some Bolingbrook residents messaged The Babbler that they were going to arm themselves with chainsaws, and attempt to break the siege. After the webmaster posted this on twitter, both mayors contacted The Babbler. After several hours of negotiations, the hybrids left, and Olson announced the closing of the Lisle bureau. Sources with ties to Lisle’s government blame the siege on atheist activist Hemant Mehta. Mehta, says the sources, didn’t want to The Babbler to cover the recent Reason Rally in Washington DC. 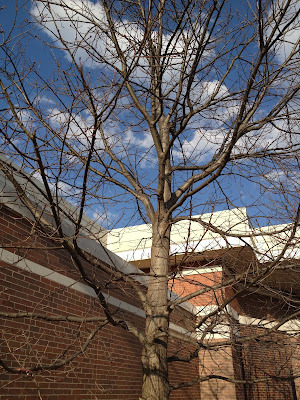 When Claar refused to help him, he petitioned Lisle’s trees for help. “It was hard to ‘go for it’ when there’s a killer tree blocking the exit.” Said Babbler columnist Dale Onofrey. The Babbler founded Lisle bureau in 2007 to provide more in depth coverage of Lisle’s treeocracy and to expand the publications into other suburbs. The bureau exposed a ninja attack against Broda and covered allegations that Navistar was planning to manufacturing nuclear powered trucks in Lisle. Olson said he will make an announcement about the location of the next bureau.